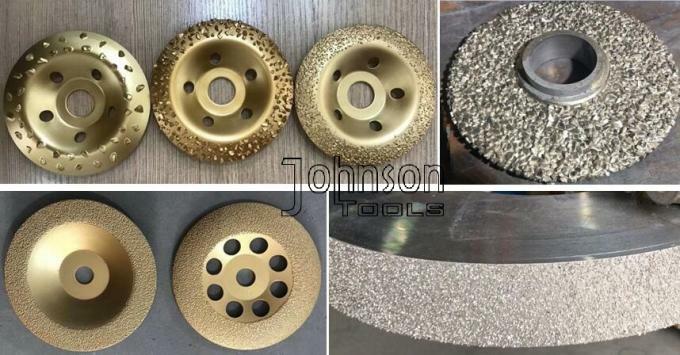 Tungsten Carbide Buffing Grinding Disc is well designed for buffing rubber and fabric, make the surface rougher to increase the bonding effect. Faster grinding, improve work efficiency. Also can do 125mm, 180mm. Other spec. request, also can do. 16/20, 20/25, 25/30, 30/35, 35/40, 40/50, 50/60, 70/80, 80/100, 100/120. or 10#, 20#, 30#, 40#, 60#, 80#, 100#. Size: 70mm or do as your request.